When a person suffers a personal injury or workers compensation injury the money they receive for pain and suffering is theirs to keep. This means that the money you get is not going to be lost in bankruptcy but, it must be handled correctly. Although this is a rule its very important the Injury Settlement Money in Bankruptcy is properly claimed and set out in the bankruptcy schedules. Because Injury Settlement Money in Bankruptcy is exempt this means that you keep it when we file your case. In an Oklahoma chapter 7 Bankruptcy, assets that you own will be considered either exempt assets or non-exempt assets. If the asset is non-exempt the bankruptcy trustee can sell it and use the proceeds from its sale. On the other hand, an exempt asset can not be sold to satisfy creditor claims and that asset remains with you when you file your bankruptcy case. Your pain and suffering is an exempt asset. Injury Settlement Money in Bankruptcy limits the workers compensation and personal injury settlement amounts that are exempt. In Oklahoma, your settlement from an Oklahoma work comp Injury case is exempt up-to $50,000. Also, In an Oklahoma personal injury settlement, the same cap of $50,000. applies. The real trap in this exemption is what you do with the settlement proceeds once received. If you commingle the settlement funds with other funds you could potential lose them. Another important thing you can do to make sure that you dont lose the exemption is to claim it. This is simple and only requires that you list the potential settlement in the asset section of your bankruptcy schedule. Injury Settlement Money in Bankruptcy is exempt only if you disclose it. If you dont the Trustee will file an adversary proceeding. In this proceeding the Trustee will try to take it claiming that you failed to list it and because of this its not exempt. Like Injury Settlement Money in Bankruptcy Social Security disability awards are also exempt. But, once again, its important that the proceeds are treated correctly. The biggest issue I see with Social Security disability awards is that the recipient co-mingles the funds. If the Oklahoma bankruptcy Trustee feels that the money was co-mingled with other nonexempt money they will try to take it. 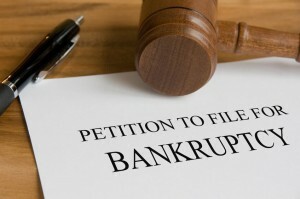 The solution avoiding this is straight forward and your Oklahoma bankruptcy attorney will help you avoid any problems.